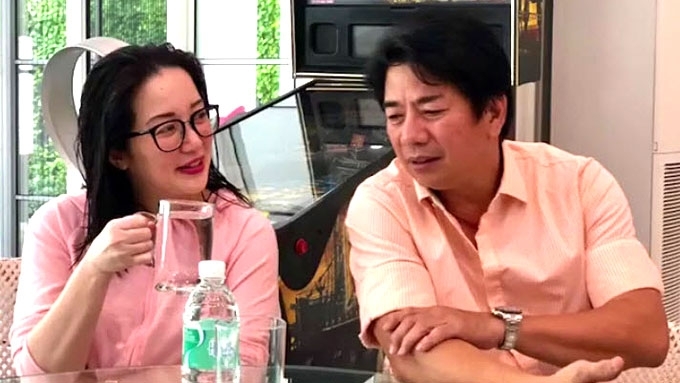 Kris Aquino and Willie Revilla have been good friends since their time together at ABS-CBN. The idea of the two of them becoming an item is far-fetched because, according to Kris, "'di raw sya prepared gumulo ang life nya!!!'" 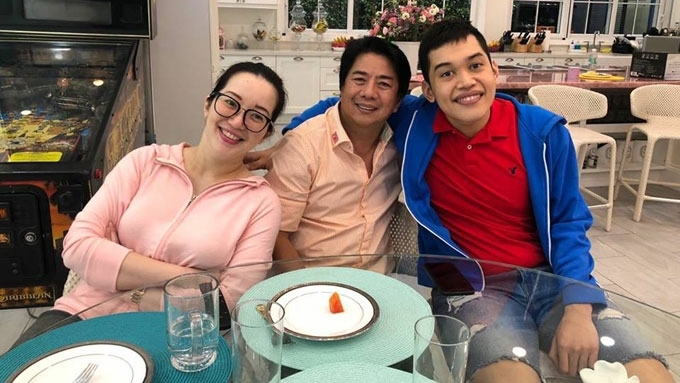 Kris Aquino played along with netizens who started pairing her off with Willie Revillame after the Wowowin host's surprise visit at her Quezon City home last Monday, July 23. Willie went to see Kris’s eldest son, Josh, who was recently diagnosed with erosive esophagitis due to severe acid reflux and ulcers. His playlist of novelty songs is a favorite of Josh, and the teen listened to it to make him feel better during his hospital confinement last week. 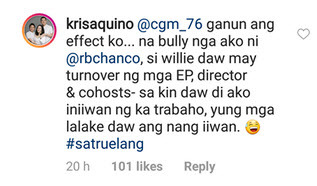 Kris and Willie also happen to be good friends, which prompted netizens to imagine them as a potential couple, especially since they are both single at the moment. In the spirit of fun, Kris at first joined them in coining a hashtag for her and Willie. 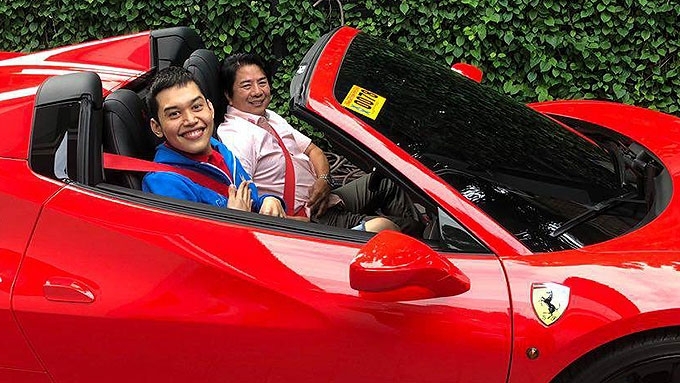 Kris also went along with a netizen’s observation that she and Willie would make quite a pair, better than her past romance with Quezon City Mayor Herbert Bautista. WHY #WILKRIS WON'T WORK. But in the end, Kris dismissed the whole idea of a romantic involvement with Willie. 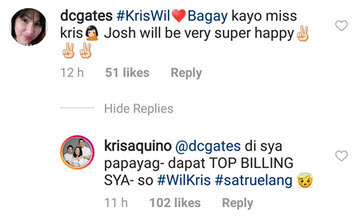 Interestingly, Kris and Willie share the same gift of gab, they are both hard workers, and top-tier celebrity taxpayers. And this from Kris herself, “Trivia lang ha - EXACT same sign sila ng kuya ko - year of the rat & aquarius. “Kaya siguro ganun ang LOVE ni kuya josh for the 2 of them," she said referring to her brother, former President Noynoy Aquino and Willie. The TV host-actress also made it clear it was Josh that Willie came to see, not her. 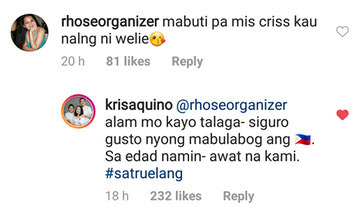 Kris wrote in her comment, "baka raw ma chismis kami... di raw sya prepared gumulo ang life nya!!! "Please super nag magandang loob, wag bigyan ng problema. 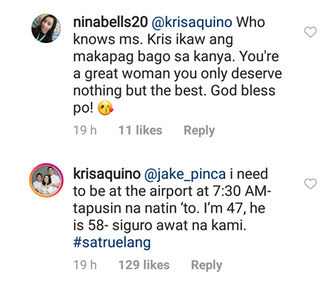 We love willie"
Kris is 47 and Willie is 58, at that age, she told netizens: "kayo talaga - siguro gusto nyong mabulabog ang [Pilipinas]. sa edad namin - awat na kami." 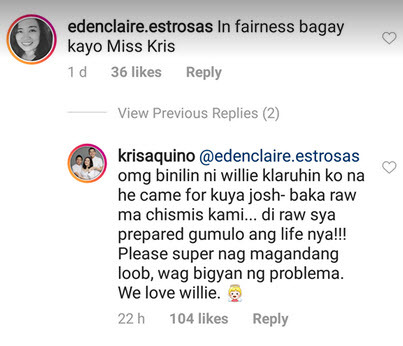 Kris wrapped her comments thanking Willie for his "kind gesture" to her son Josh. Recalling a time when she and Willie used to work in ABS-CBN, Kris explained, "when wowowee was starting, game knb was the preprogram. Habang nag me-makeup ako, live sila. "Lumaki si kuya nanunuod ng live ni tito willie. Everywhere na nilipatan ni Willie sinundan ni kuya josh manuod. That simple. 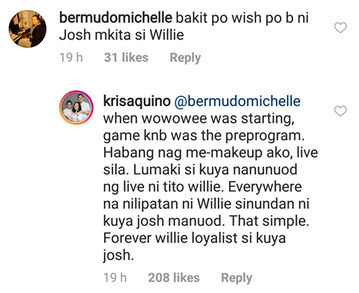 "Forever willie loyalist si kuya josh."